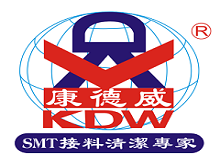 Product categories of SMT Nozzle, we are specialized manufacturers from China, SMT Nozzle, SMT Panasonic Nozzle suppliers/factory, wholesale high-quality products of SMT LED Nozzle R & D and manufacturing, we have the perfect after-sales service and technical support. Look forward to your cooperation! SMT nozzles are used to pick up components from component feeders and placing the components to PCB board after solder paste printing process. These nozzles are used by high speed pick and place and flexible component mounter machines. We are offering all types of SMT nozzles for almost All brands and models of SMT machines. We also provide OEM nozzles for special components aside from standard SMT nozzles. We distribute original and high copy units SMT nozzles.